Registration is Open for GRI 200! Through a Call for Action which generated almost 280,000 letters to the Senate and thousands of Capitol Hill visits during the REALTOR® Legislative Meetings and Trade Expo, H.R. 3700, “The Housing Opportunity Through Modernization Act”, unanimously passed the House of Representatives and Senate and was signed into law. For more than a decade, NAR and REALTORS® pressured Congress to pass legislation that makes Federal Housing Administration (FHA) financing for condominiums more accessible and streamlines the Rural Housing Service (RHS) loan process. Through letters, meetings, newspaper advertisements and spearheading industry coalitions, NAR educated Congress on the critical role condominiums and RHS loans play in the housing market and served as a key factor in getting H.R. 3700, which addresses these issues, signed into law. NAR continues to work closely with FHA and RHS to ensure that the provisions of the legislation are implemented in a timely manner. Following months of intense outreach by NAR through letters and in-person meetings, the Consumer Financial Protection Bureau (CFPB) announced its intention to issue additional written guidance on the “Know Before You Owe” (TRID) rule. Since implementation in 2015, NAR has argued that more formal guidance is needed to help the industry understand the rule, including clarification that lenders may share the Closing Disclosure (CD) with real estate agents involved in the transaction. NAR successfully advocated this issue as evidenced by the CFPB’s new proposed “Know Before You Owe” rule which included language stating that an existing exception within the Gramm-Leach-Bliley Act (GLBA) Regulation P allows lenders to share the CD with third parties. For more than two years, NAR actively worked with the Federal Aviation Administration (FAA) and industry partners to integrate drones into the national airspace for commercial use. NAR wrote to the FAA on numerous occasions to weigh in on the final Small Unmanned Aerial System (UAS) Rule, submitted multiple letters to Congress and testified before the House Judiciary Committee to support the use of drones in real estate. This outreach resulted in a final rule released in August 2016 granting the use of drones in commercial real estate without requiring a Section 333 waiver. The only real estate industry representative of 26 groups invited to join the FAA Micro UAS Aviation Rulemaking Committee, NAR submitted recommendations to FAA on a future “micro UAS” rule. NAR has actively been educating Congress on the important role affordable flood insurance plays for homeowners. Through letters and in-person meetings, the House of Representatives passed by an overwhelming bipartisan vote of 419-0, “The Flood Insurance Market Parity and Modernization Act” (H.R. 2901, Reps. Ross, R-FL; Murphy, D-FL). This legislation encourages the development of a private market that offers comparable flood insurance coverage at a lower cost than the NFIP. Additionally, NAR testified before the Senate Committee on Small Business and Entrepreneurship on the impacts of inaccurate flood insurance rate increases to small businesses. With the National Flood Insurance Program (NFIP) set to expire in 2017, NAR will continue to work with the current and incoming 115th Congress on reauthorization and reform of the program. After NAR raised strong concerns about language in the Handbook requiring appraisers to take on home inspection duties, the Federal Housing Administration (FHA) announced at NAR’s July Appraisal Summit that it would remove the language. FHA deleted the language in October from the Handbook that an appraiser “must operate all conveyed appliances and observe their performance,” and replaced it with “must note all appliances that remain and contribute to the market value.” FHA also provided a clear definition of which items are considered “appliances” for the purpose of an FHA appraisal. Given the still tight underwriting standards in the market, NAR has been advocating to Congress and federal regulators the importance of alternative credit scoring models for potential homebuyers. Through letters of support to the Hill, NAR helped get several pieces of legislation introduced that amend or update current credit scoring models used by Fannie Mae, Freddie Mac and other industry lenders. To bring attention to this important issue, NAR, along with the National Association of Hispanic Real Estate Professionals® (NAHREP) and the Asian Real Estate Association of America (AREAA), hosted a “Credit Scoring Roundtable” with key Congressional and Administration officials: Rep. Keith Ellison (D-MN), Rep. Ed Royce (R-CA), Rep. Al Green (D-TX), Ed Golding, Housing and Urban Development (HUD) Principal Deputy Assistant Secretary and Patricia McClung, Consumer Financial Protection Bureau (CFPB) Assistant Director for Mortgage Markets. Over the past year, NAR has been actively engaging with Congress and the Administration on the impact of student debt on homeownership and the overall economy. At the invitation of NAR, the U.S. Housing and Urban Development (HUD) Secretary Julián Castro and Senator Elizabeth Warren (D-MA) attended the 2016 REALTORS® Legislative Meetings & Trade Expo who addressed the efforts that the Administration and Congress are taking to alleviate NAR’s growing concerns. Continuing the dialogue, NAR submitted letters of support on several pieces of legislation that have been introduced in Congress, and worked with HUD to revise the calculation of student loan debt for FHA loans. Additionally, in partnership with American Student Assistance’s “SALT” program, NAR’s Research division commissioned a joint study on student debt and housing and presented the survey findings at Congressional and media briefings to highlight the importance of this issue. NAR will continue to engage with the 115th Congress when it convenes in January 2017 and with the new Administration. NAR lead a coalition of 24 organizations in submitting a letter to Federal Housing Finance Agency (FHFA) Director Mel Watt urging him to reduce loan level price adjustments (LLPAs) by Fannie Mae and Freddie Mac (GSEs). NAR was the point person for assembling this extraordinary joint effort by consumer and industry groups to raise concerns with the GSEs double-charging consumers for assumed credit losses and capital levels that are already being assumed by existing g-fees and private mortgage insurance coverage. NAR will continue to collaborate with this diverse group of organizations on broader housing finance reform issues. Executive at the Board of your choice can put you in contact with the President of that Board. When using the trademarked term REALTOR®, please type it in all caps followed by the “Registered ®” symbol. More information may be found at: http://www.realtor.org/membership-marks-manual. This representation is based in whole or in part on data supplied by, and to the Subscribers of Alaska Multiple Listing Service, Inc.(AK MLS), the Greater Fairbanks Board of REALTORS® and the Southeast Alaska Board of REALTORS®. AK MLS, the Greater Fairbanks Board of REALTORS® and the Southeast Alaska Board of REALTORS® does not guarantee nor is it in any way responsible for its accuracy. Data maintained by AK MLS, the Greater Fairbanks Board of REALTORS and the Southeast Alaska Board of REALTORS is for its own use and may not reflect all real estate activity in the market. See the fact sheet outlining the details of this new offer. 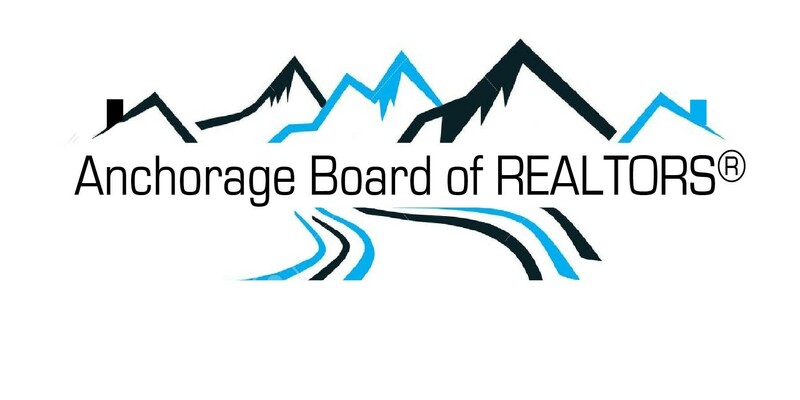 The Anchorage Board of REALTORS® held their annual meeting on October 19, 2015. Niel Tomas of Coldwell Banker Best Properties was awarded REALTOR® of the Year. In our continuing efforts to keep you abreast of the latest news on the implementation of the Truth in Lending RESPA Integrated Document (TRID) rule by the Consumer Financial Protection Bureau (CFPB), NAR is pleased to announce new resources to help REALTORS® prepare for the changes. Today, after close collaboration with NAR, the CFPB has launched a new online toolkit for real estate professionals as part of its “Know Before You Owe” campaign. CFPB uses the term “Know Before You Owe” for its consumer facing communications regarding TRID. The new website is designed to help real estate professionals understand the changes to the closing process, that will go into effect on October 3, 2015, and how to explain the changes to clients. The site also includes resources that real estate professionals can provide to their clients.